Hector A. Colwell M.B. Lond. What little we can learn of the life of Lionel Lockyer we have to learn from his detractors, in particular to his principal rival in the field of patent medicine, the American alchemist George Starkey (or Eireneaus Philalethes as he was known in alchemistical circles). 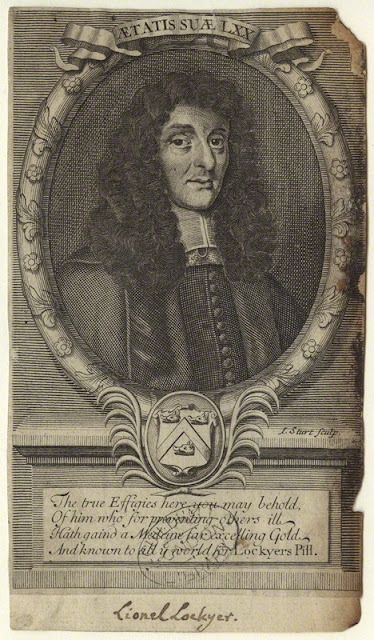 In 1664, goaded by Lockyers overwrought claims for his famous pills, Starkey wrote “A smart Scourge for a silly, sawcy Fool, an answer to letter at the end of a pamphlet of Lionell Lockyer.” Starkey clearly hoped his tract would demolish Lockyer’s reputation and fatally undermine his business but he was to be disappointed. 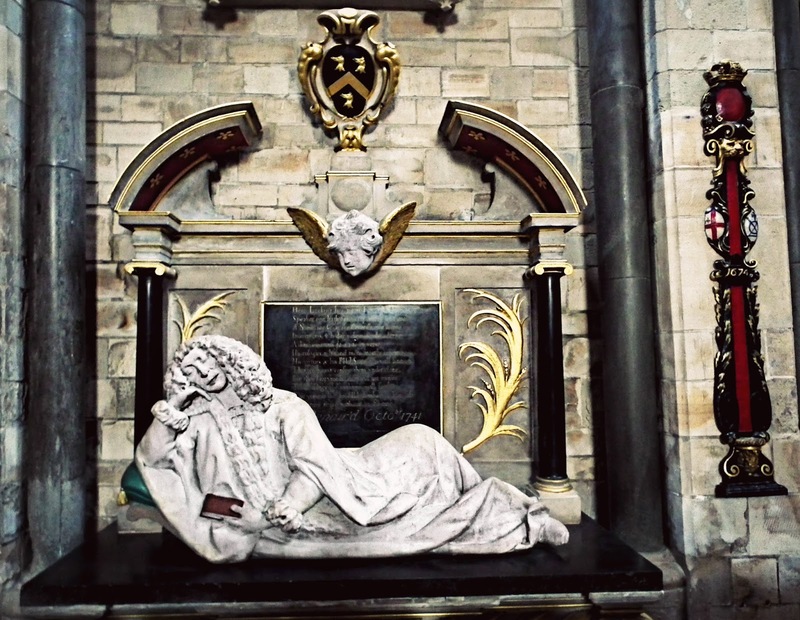 Not even death managed to do that; in 1824, 150 years after his death, James Granger reports that Lockyer’s Pills were still being sold by Newbury the bookseller in St Paul’s Churchyard. From Starkey we learn that before he took up medicine Lionel Lockyer had been a tailor and a butcher and that he had learned his medicine from a certain Molton of Hogg Lane. The first version of his pills, “a very common and churlish medicine” had been simply produced by dyeing some pills produced from a solution of the salt of antimony bright red with cochineal and vending them as ‘mercurialis vitae’. 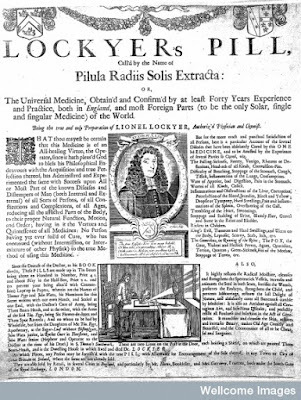 A more refined product, Pilulae Radiis Solis Extractae, one of the key ingredients of which was supposedly sun beams, made Lockyer a fortune. The vulgar had trouble with the Latin name so Lockyer, citing a biblical precedence simply named them after himself; "Absolom because he had no son to succeed him, he erected a Pillar and called it after his own name (2 Sam. xviii, 18). And I have had sons, but They are not, and so I shall call the pill after my own name, Lockier's Pill."' The unsympathetic Starkey never mentions Lockyer’s loss of his children; at the time it was not perhaps a noteworthy event. Lockyer had a genius for marketing. 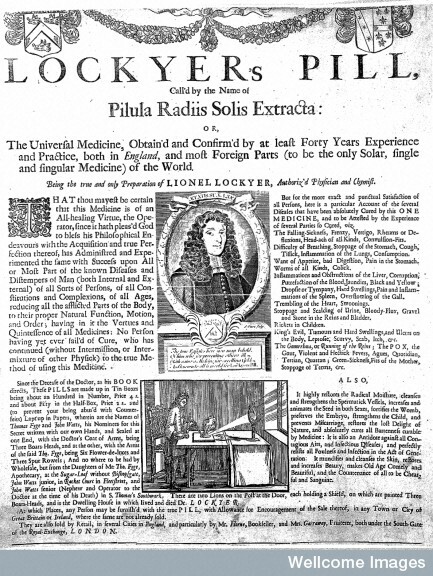 He supposedly printed upwards of 200,000 copies of his famous handbill advertising the miraculous qualities of his pilulae which were a medicine “of a solar nature, dispelling of those causes in our Bodies, which continued, would not only darken the Lustre, but extinguish the Light of Our Microcosmical Sun.” The price of this sovereign remedy was 4 shillings a box, the box stamped with the makers coat of arms and only available from some forty authorised dealers in town and country and which included “Mrs. Harfords at the Bible in Heart in Little Britain, Mr. Russel’s in Mugwel Street near Cripple Gate, Mr. Randal’s at the Three Pigeons, beyond St. Clements Church, in the Strand, Thomas Virgoes, cutler, upper end of New Fish Street and Mr. Brugis, printer, next door to Red Lyon Inn, in Newstreet near Fetter Lane.” As was generally the case this was another pill to cure all ills and even to be taken by those in full heath as a “preservative against all accidents as contagious aires, for which it stands Centinel in the body and not permitting any enemy of nature to enter.” Lockyer’s broadsheet also included case studies demonstrating the efficacy of his remedy "Mrs. Dixon suffered for two years at least with a griping, gnawing pain in the belly, and by the use of my Pills, and God's blessing upon it, was cured; For before she had taken of my Pills six times she had a live worm come from her by Siege, four yards long; the woman lives in Dead-man's Place in Southwark, near unto the Colledge Gate. Her age is about thirty-two years, the worm came from her the latter end of May, 1662. If any desire to see the worm I have it by me." He also relates the heart warming story of a young man who “told a friend of mine, that he had the POX, who gave him two boxes of pills, and in three weeks time he was perfectly cured, although he scarce went to bed sober all that time, and within three weeks time he married a wife, and both of them very well to this day." Inscriptions whch doe vulgar tombs adorne. 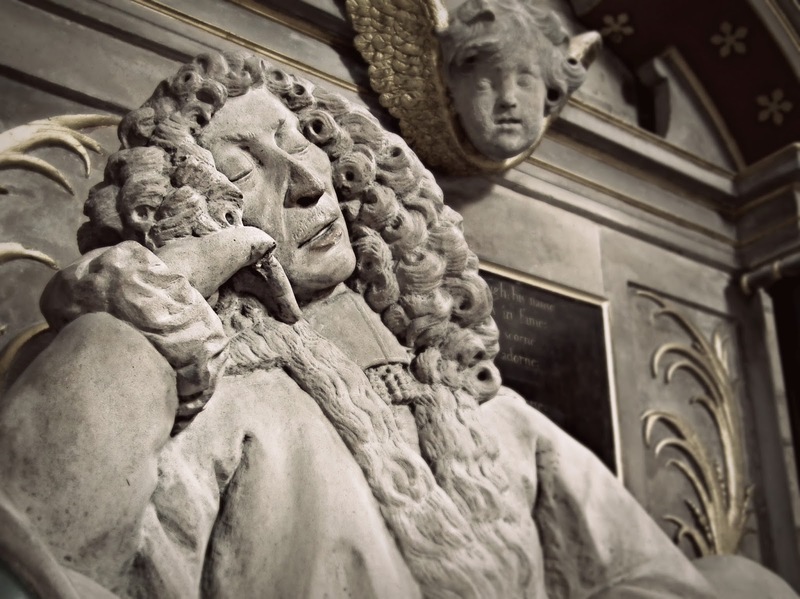 His eulogies whch most mens mouths rehearse. That envy can't confine them vnder stone. Till all things else at th'universall fire.